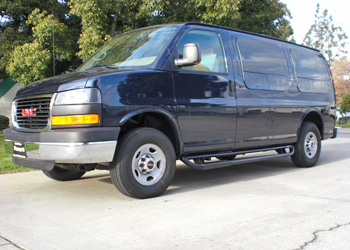 Four Wheel Drive conversions often lift the van higher off the ground. 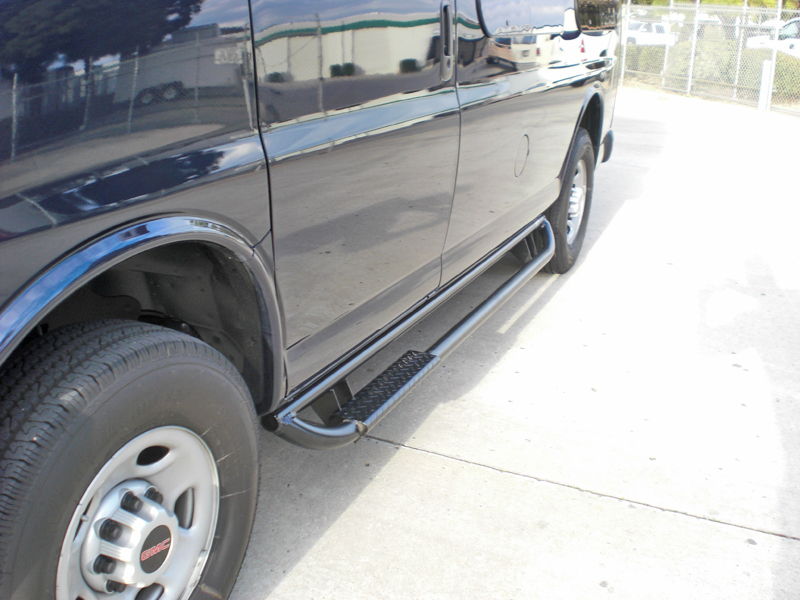 This means that an already tall vehicle becomes more difficult to get into. 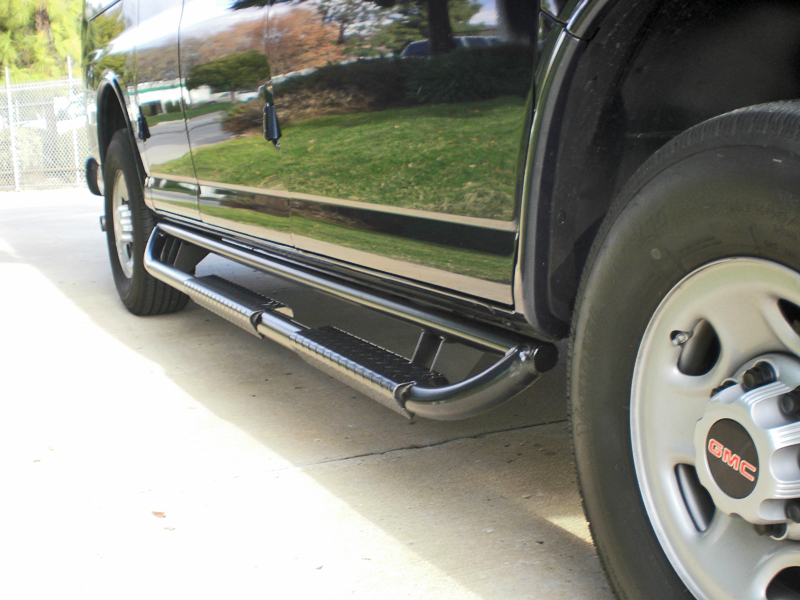 The Aluminess Nerf Bars make it easy to get in and out of your van again. 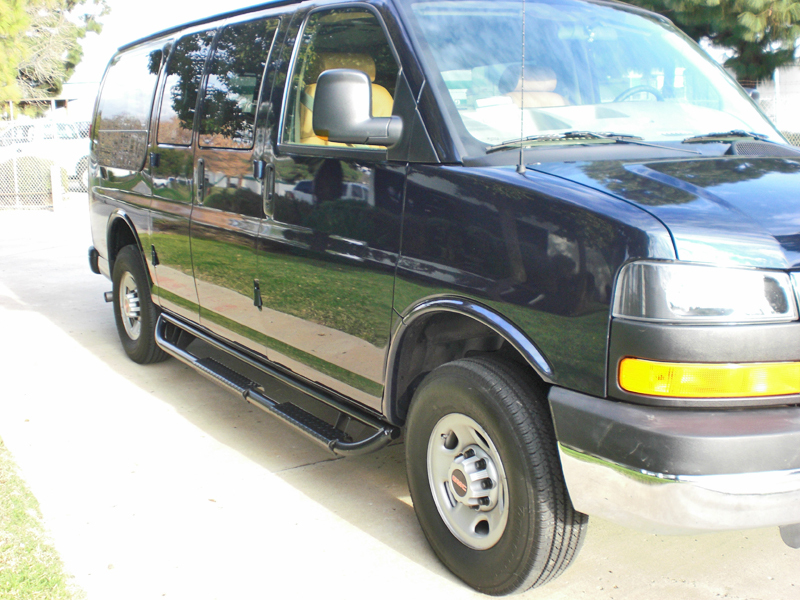 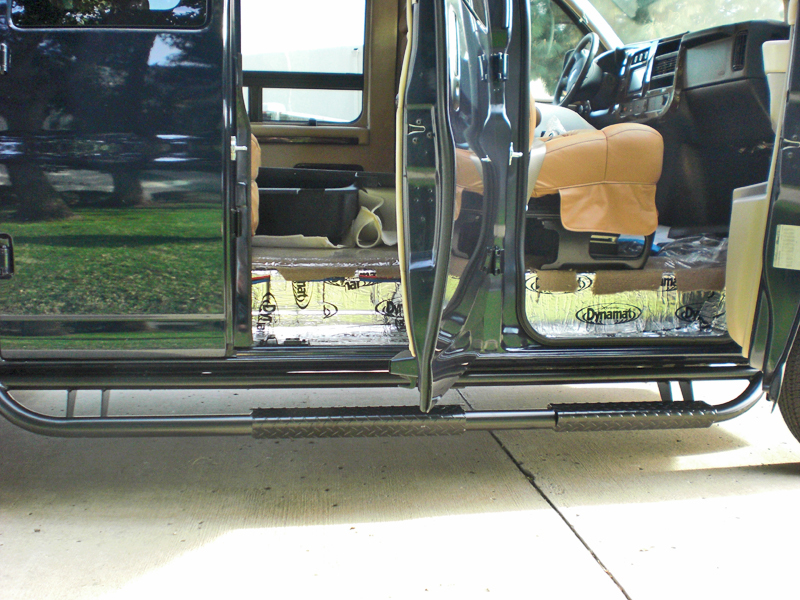 With 20″ long tread plate steps at each door, there is ample room to step into the van with ease. 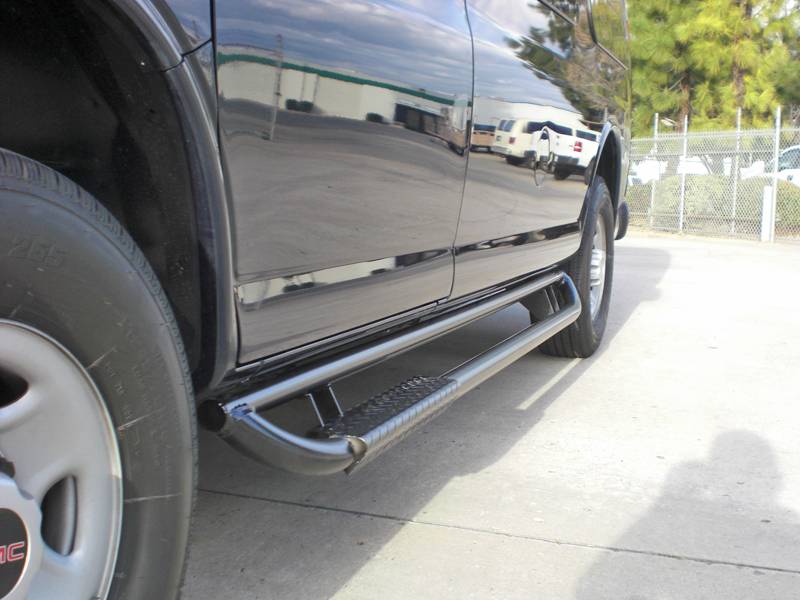 The all Aluminum construction is great for keeping the weight down and the powder coated finish is durable enough to handle the toughest elements. 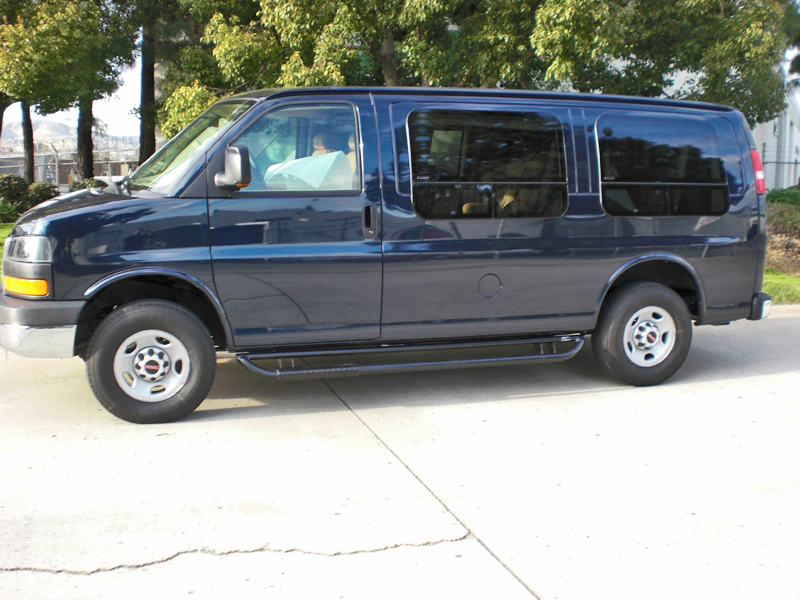 Download the full installation manual for the 155″ WB.